Leading Microsoft engineer Michael Fortin says that speeding up booting times is one of the priorities of Windows 7. Under 15 seconds is his target for a 'very good system'. Boot times are influenced by systems and configurations. In tests with machines running Vista, over a third started up in 30 seconds or less, while around three quarters of them took 50 seconds of less. Fortin says: "From our perspective, too few systems consistently boot fast enough and we have to do much better. Obviously, the systems that are greater than 60 seconds have something we need to dramatically improve – whether these are devices, networking or software issues... there are also some system maintenance tasks that can contribute to long boot times." He continues: "In scanning dozens of systems, we've found plenty of opportunity for improvement and have made changes. Illustrating that, please consider the following data taken from a real system. As the system arrived to us, the off-the-shelf configuration had a 45 second boot time. Performing a clean install of Vista SP1 on the same system produced a consistent 23 second boot time. Of course, being a clean install, there are many fewer processes, services and a slightly different set of drivers (mostly the versions were different). "However, we were able to take the off-the-shelf configuration and optimise it to produce a consistent boot time of 21 seconds, two seconds faster than the clean install because some driver/BIOS changes could be made in the optimised configuration... if a service is not absolutely required, it shouldn't be starting and a trigger should exist to handle rare conditions so that the service operates only then. Fortin says that device and driver initialisation can significantly affect lagging boot times, which Windows 7 seeks to avoid by increasing the number of drivers that are initialised in parallel. 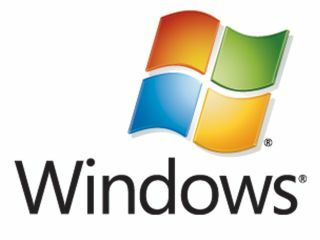 Making diagnostic fixes and communicating them with users is also an important consideration with Windows 7. An obvious problem is a user having too many startup applications, but less well known are the results of having problematic boot or logon scripts. In corporate environments too, IT teams can change the defaults and set up client systems to contact local servers. The result can be that booting up and logging on can take minutes taking into account networks timing out and server authentication. Such scripts can run expensive programs consuming CPU, disk and memory resources. Fortin adds:"In addition to working on Windows 7 specific features and services, we are sharing tools, tests and data with our partners. The tools are available to enthusiasts as well. The tools we use internally to detect and correct boot issues are freely available today here as part of the Windows Performance Toolkit." He also refers to additional software and how Microsoft must provide developers and users with the tools to maximise the quality for Windows users and for the users to know whether its performance is up to scratch. Signing off, Fortin says that it's important to destroy the myths that have developed about certain configuration changes improving performance when they don't. "Many recommended changes aren't helpful at all," he concludes. " For instance, we've found the vast majority of 'registry tweak' recommendations to be bogus. Here's one of my favourites. If you perform a Live search for 'Enable Superfetch on XP', you'll get a large set of results. I can assure you, on Windows XP there is no Superfetch functionality and no value in setting the registry key noted on these sites. As with that myth, there are many recommendations pertaining to CPU scheduling, memory management and other configuration changes that aren't helpful to system performance."